One of the greatest Broadway musicals of all time, West Side Story, is coming to the Arts Centre Melbourne and Sydney Opera House in 2019! The Jets and the Sharks are set to rumble in New York City’s urban jungle, destroying the happiness of two young people caught in this tragic love story inspired by Romeo & Juliet. 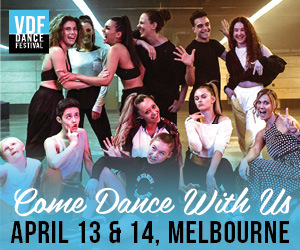 This production will feature vibrant new staging and some of Australia’s most exciting young talent performing Jerome Robbins’ original groundbreaking choreography. Auditions were recently announced by Opera Australia. 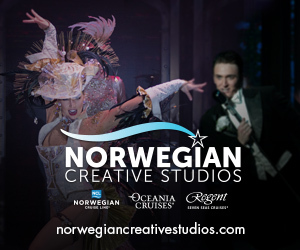 Performers must be available to tour the production throughout 2019. Get all the details here. Set to be directed by Joey McKneely, West Side Story will require availability between March and mid-October 2019. Seasons include: Arts Centre Melbourne from April 6 – 28, 2019; China and Germany Tours between May and August 2019; and Sydney Opera House from August 16 – October 6, 2019. Auditions will hit Sydney from August 21 – 26. Dance calls for the Jets will be the first day, Tuesday, August 21, and then for the Sharks the next day, Wednesday, August 22. Actors must be available at other times during these dates for callbacks, with final auditions on Saturday and Sunday, August 25 and 26. Next, auditions will land in Melbourne on August 28 – September 3. Dance calls for the Jets will be Tuesday, August 28, and for the Sharks on Wednesday, August 29. Actors must be available at other times during these dates for callbacks, with final auditions on Sunday and Monday, September 2 and 3. Submissions must be emailed to natalie@gwbentertainment.com by Thursday, August 2, and should include a current biography (in pdf format), a headshot (file clearly named), the city the performer normally resides in plus audition city, and a role suggestion. The last time West Side Story toured Australia was in 2010. At that time, Opera Australia came under significant criticism for casting a Caucasian performer in the role of Maria, who’s Puerto Rican in the show. Directors were accused of white-washing the musical so hopefully there will be extra attention given to casting this time. For more information on Opera Australia jobs and auditions, head to www.opera.org.au. This new Australian production of West Side Story will hit theaters around the time a new film version will be produced.